Holistic medicine looks at the overall picture of your pet's health rather than focusing on individual problems or systems. 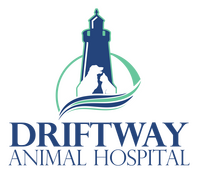 At Driftway, we offer an integrated approach, blending the best of Eastern and Western medicines in a contemporary fashion to put our patients on the road to wellness. Western medicine excels in emergency situations and can offer substantial relief, but these treatments only focus narrowly on a body part or specific symptom rather than root causes. Holistic medicinal approaches help us see the big picture and to identify the inciting reason or the underlying disease that caused the problem to appear in the first place. Eastern medicine is based on traditional Chinese medicine, which roots its philosophy on the idea that ailments are the result of imbalances in the body. To restore good health, the entire body and mind must be balanced and treated, not just the obvious or immediate symptoms. Eastern medicine can support the body's own immune system naturally and is a viable and successful way to treat chronic conditions such as arthritis. Holistic therapies are also commonly used to treat a wide variety of conditions, including behavioral problems. A therapy plan may consist of nutritional therapy, behavioral training, chiropractic adjustments, supplements, homeopathic therapies, acupuncture, and Western or Eastern herbal therapies. An initial consultation and diagnosis involves a thorough review if your pet's health, including an analysis of their history, Eastern and Western physical exam, medical records, x-rays/imaging studies, labwork, and a completed questionnaire.